☆☆☆☆ “The horridly clunky script for this American miniseries should have been considered for a long spell in the bottom drawer followed by quick incineration in the backyard. Repulsively cocky young novelist Marcus (Ben Schnetzer) has writer’s block, so he travels to Maine to visit his old professor, Harry (Patrick Dempsey), for some helpful platitudes. Then Harry gets arrested for the murder of a teenage girl back in the ’70s.” — Sydney Morning Herald. 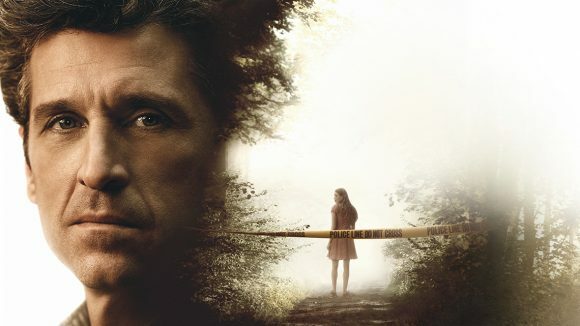 ☆☆☆☆ “Patrick Dempsey is a college professor suspected of killing a teen girl in this mystery drama, whose potboiler premise is elevated by strong performances and an intriguingly ambiguous approach to the old ‘did-he-didn’t he’ set-up.” — The Guardian. ☆☆☆☆ “The Truth About the Harry Quebert Affair felt like the glossy equivalent of a doorstopper novel you buy in an airport and tear through on a long-haul flight … It has a leisurely appeal, a bit like a slick early-1990s potboiler and a polished edge of ambiguity — a sort of fictional true-crime series for those who can’t be bothered with The Staircase.” — The Times. ☆☆☆☆ “French film director Jean-Jacques Annaud (The Name Of The Rose) makes his TV debut with this 10-part adaptation of Joël Dicker’s novel. Annaud directs every episode, and the cinematic textures are obvious, notably in a scene where the famous author of the title, Harry Quebert, observes a young girl dancing in a rainstorm on a beach in Maine.” — Evening Standard. ☆☆☆☆ “Marcus Goldman, a blocked young superstar author, takes refuge in the coastal mansion of his reclusive mentor, only to find that his hero is now suspected of murder. The adaptation of Joel Dicker’s bestselling novel The Truth About the Harry Quebert Affair is good-looking, leisurely and baffling.” — Financial Times.